The era in which the Robots will take the jobs of the people has arrived a long time ago. Just as the industrial revolution marked the first step of the great emptiness of employees, now came the second stage: the robots. The automation of tasks performed by humans is reaching increasingly alarming levels, each week a new robot is launched that does new things to replace arms legs, intelligence or human strength. The reason is very simple: reduce costs in the production of tasks, increase productivity, save money and generate more net profits for business owners and companies. The robots already automate tasks at home in cleaning, also in supermarkets, coffee shops, restaurants and in many other places. Today the place has come to the sportswear industry. Adidas will begin working with a robot that has been created by SoftWear Automation, a company that in partnership with DARPA of the United States has managed to develop robotic technology for $ 1.25 million dollars. 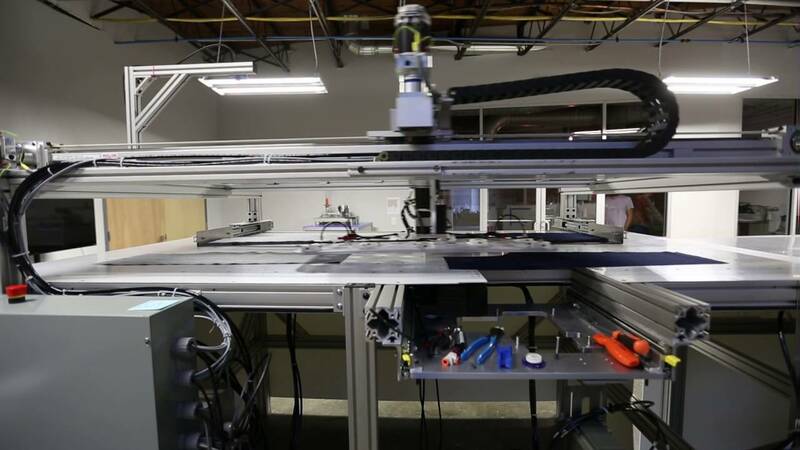 This robot “Sewbot” will allow Adidas to sew and cut the fabric in a perfect way, thus achieving a job that would seem handmade and made by the retail hands of a human. Throughout the process, from starting to create the sports shirt, until it ends, it will take about 5 minutes maximum to the robot to finish its creation. Adidas will install 21 of these production lines at its new plant in Little Rock, Arkansas. With these new robotic production lines, Adidas will be able to manufacture 800,000 sports shirts per day, increasing production by 300% and with a very important reduction of its expenditure. What has not yet been said is how many jobs will be completed after this new way of producing the T-shirts. What is known is that with this new machine, making each T-shirt will cost a total of $ 0.5 cents, almost 6 times cheaper than today’s cheapest manufacturing price, which is around $ 0.33 Dollars per shirt.